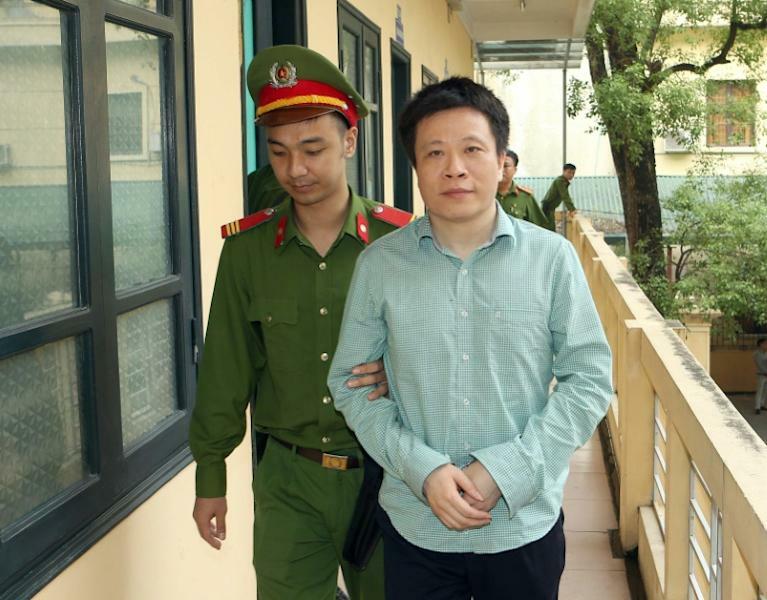 An ex-banker was sentenced to death on Friday for his role in a massive fraud case involving millions of dollars of illegal loans, in a scandal that reaches deep inside Vietnam's corruption-riddled financial system. 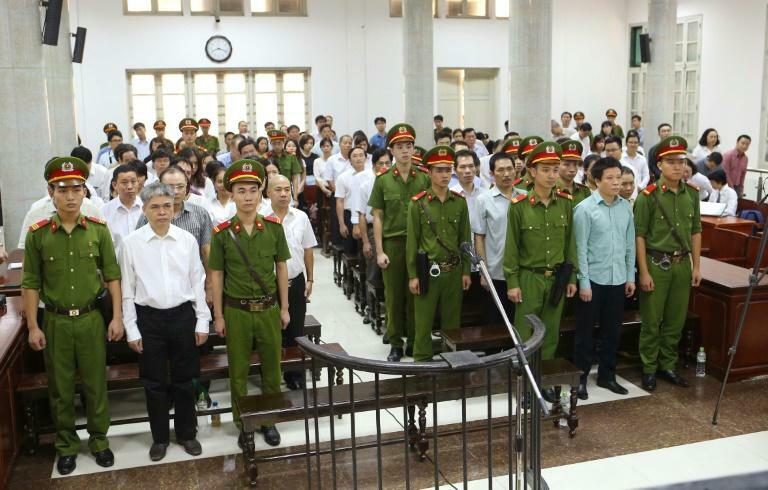 A co-conspirator also received life in prison in a dramatic capping of a month-long trial involving 51 bankers and businessmen -- part of an anti-corruption drive that critics say is also sweeping up political enemies of Vietnam's communist leaders. The bank's ex-chairman Ha Van Tham, once one of Vietnam's richest men, was jailed for life on the same charges, as well as violating lending rules. He was convicted of illegally approving a $23 million loan in 2012. Also mentioned in the verdict was PetroVietnam's acquisition of a $35-million stake in the bank. It was later written off when the central bank bought Ocean Bank for $0 in 2015. "Tham and Son's behaviour is very serious, infringing on the management of state (assets) and causing public grievances, which requires strict punishment," said judge Truong Viet Toan. The charges cascaded down the ranks, targeting accountants, branch managers and scores of others in one of the country's largest-ever banking trials. The other sentences announced Friday ranged from 22 years in prison to 18-month suspended sentences and re-education outside of prison. It had been part of Ocean Group, which takes in real estate and hotel subsidiaries and enjoyed a meteoric rise after its founding in 2007. It was valued at $500 million in 2013 under Tham's stewardship. "The takedown of high-level officials is happening at a much higher tempo," Zachary Abuza, a professor at the National War College in Washington, told AFP ahead of the trial's conclusion. Analysts say the campaign is two-pronged: hitting corruption and Trong's political enemies -- largely seen as allies of former prime minister Nguyen Tan Dung. "He has gone after Dung's network with a vengeance, he can't go after him, but he can go after the protoges," said Abuza. Vietnam's ranking on Transparency International's Corruption Perceptions Index improved last year for the first time since 2012 to 113 out of 176. Trong's second term has coincided with several high-profile corruption cases. Vietnam denies the anti-corruption fight boils down to political infighting and says it is government policy to "deal with wrongdoing and corruption", foreign ministry spokeswoman Le Thi Thu Hang said this month. The party's image has been bruised by graft allegations, taking its toll on public support -- and interest -- in politics, especially among young people more focused on football and mobile phones than the staid communist regime. But the party risks losing more than just public support, cautions economist Bui Kien Thanh. "Their whole regime is at stake because of this corruption," he told AFP, adding that the government must go after more people to really "cure the cancer".